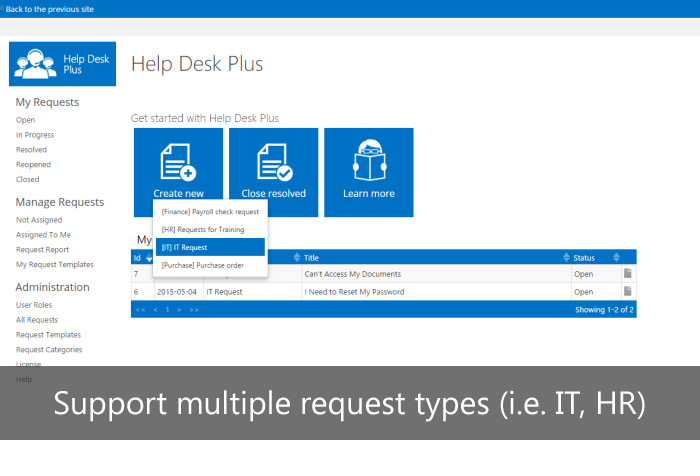 Help Desk Plus workflow contains five states: Opened, In Progress, Resolved, Reopened and Closed. 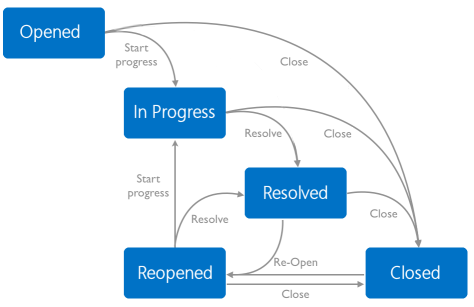 The below diagram shows Help Desk workflow in graph form. Rounded rectangles represent states and arrows represent actions that can be performed in each state. Reopened - The request was resolved, but the resolution is incorrect. 1. 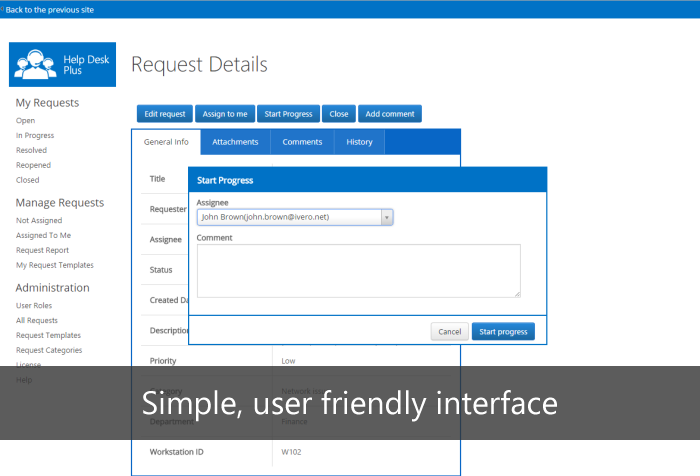 Assign user roles: Manager, Technician and Administrator (section Administration->User Roles ). 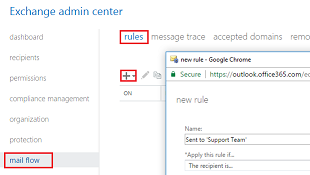 There is no need to assign regular User role, because this role is given by default -every user with access to the Sharepoint parent site (where the app is installed) also has access to this app as regular user. 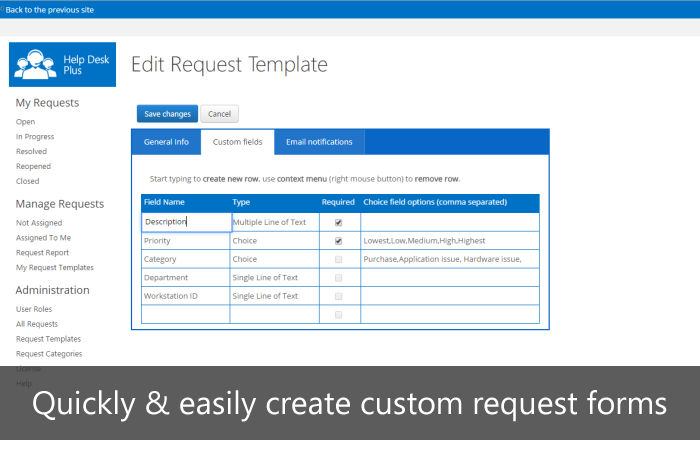 • Email notification is send to the group only if Assignee is not selected by the regular-user during request creation. Please read below Product FAQ and Technical Troubleshooting FAQ before sending email with an technical question.